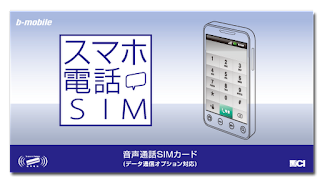 Japan Mobile Tech: Improved data plans for b-mobile "smartphone SIMs"
Improved data plans for b-mobile "smartphone SIMs"
The "sumaho" voice SIMs now have an additional option for data: a 1 GB plan for ¥1,980. Also, the 200 kbps data plan was replaced with a less expensive 150 kbps data plan. There will be essentially no difference in the old and new low-speed option from a user perspective. Both will be similarly slow and suited only for short messages and light maps usage. These are FOMA 3G SIMs. They are not compatible with Docomo Xi handsets. A Nano SIM is also available, but only direct from JCI. Amazon and Yodobashi don't carry nano SIMs. Billing is postpaid, monthly recurring. If you verified the APN is correct, it's probably having this problem, meaning it is actually connected but just doesn't know. try surfing the web. It'll probably work. Thanks for your reply! Had seen that post of yours earlier and tried it out but it doesn't work. Can't make or receive calls either. 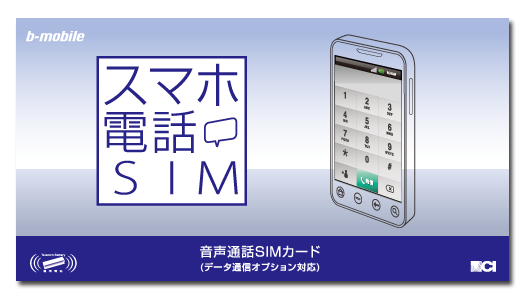 I've set the APN for the 3G sumaho sim as mentioned at http://www.bmobile.ne.jp/devices/setting.html#smart so that should be fine. Guess I'll wait till the verification code arrives to see if it works after. sorry, so many people comment on random threads here, that I assumed you didn't have the sumaho SIM. Now that I realize you do, that fix is no relevant to you. It's only for data SIMs. It sounds like your SIM hasn't been activated yet. Does voice work? Can you make/receive phone calls? Voice doesn't work either yet so I'm hoping it's a case of the sim being not being activated. Will post an update once I get the code. Thanks again! Yes, the SIM cannot be used until activated. It doesn't get activated unless you input the address verification code and wait for them to do the back-end activation processing (took few hrs in my case after doing the verification code input. Thanks Kizuki! Received the code and the sim has been activated and voice/internet/sms are working great. SBSdroid, let me know when and where I can buy you a beer!